It's been forever since I've whipped up a cocktail recipe but this one has been in the works for a bit- thanks to a collaboration with my Instagram Husband, Jonathan of Jonathan Caleb Cake - and it's perfect for the holidays! 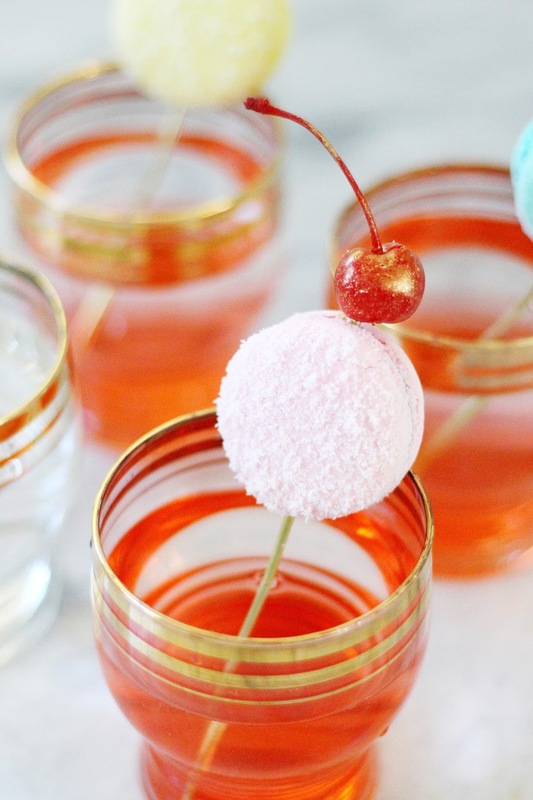 Nothing beats a twist on a classic and who can say no to a grown up Shirley Temple topped with sugared macarons and metallic gold cherries? The drink itself is super easy to make and the accessories do all of the heavy lifting, so feel free to make the cocktail ahead of time in a big batch. 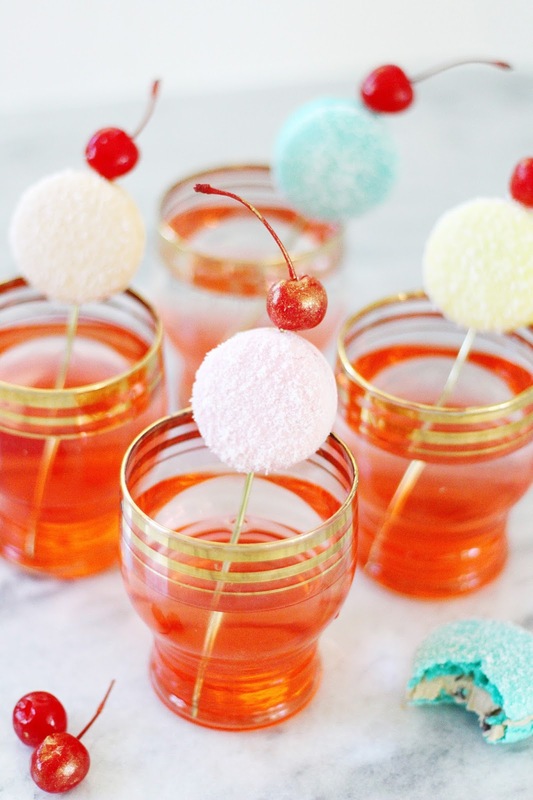 And of course, the Sugarplum Shirley is a snap to make in a classic Shirley Temple sans alcohol, perfect for any preggos attending your holiday get together or a sweet holiday party for a gaggle of girls. Many, many thanks to Jonathan for spending the day playing in my kitchen, the gorgeous sugared macs and for teaching me to gild cherries! 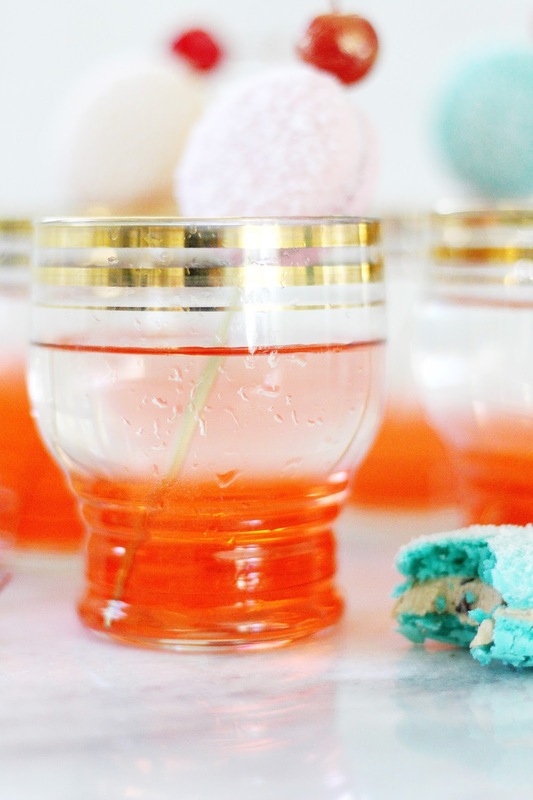 While wet, dip into a bowl of granulated sugar, gently twisting the macaron to ensure the entire side is covered. 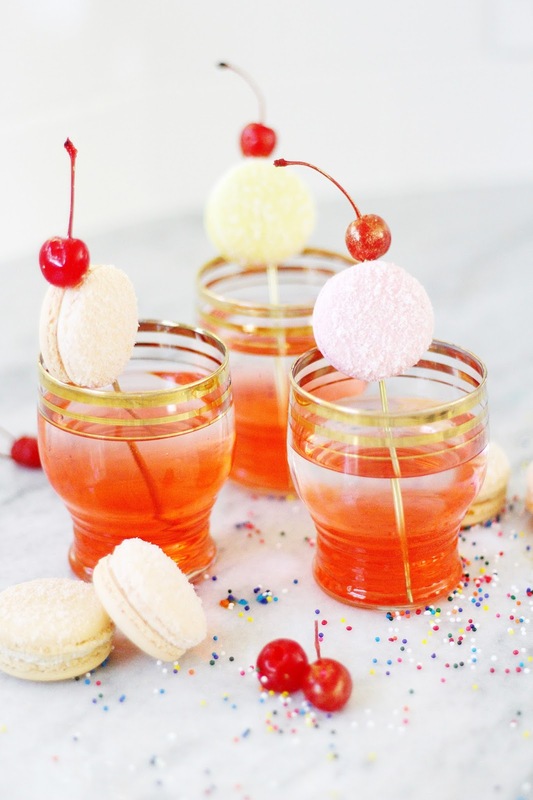 Layer 1 sugared macaron and 1 gilded cherry on a gold cocktail stirrer, pop into poured cocktail and serve! So pretty! And it sounds delicious! YUM!!! looks almost too pretty to drink!